Have you ever been to a resort holiday and simply wished you could bring home that relaxed atmosphere back to your own home? 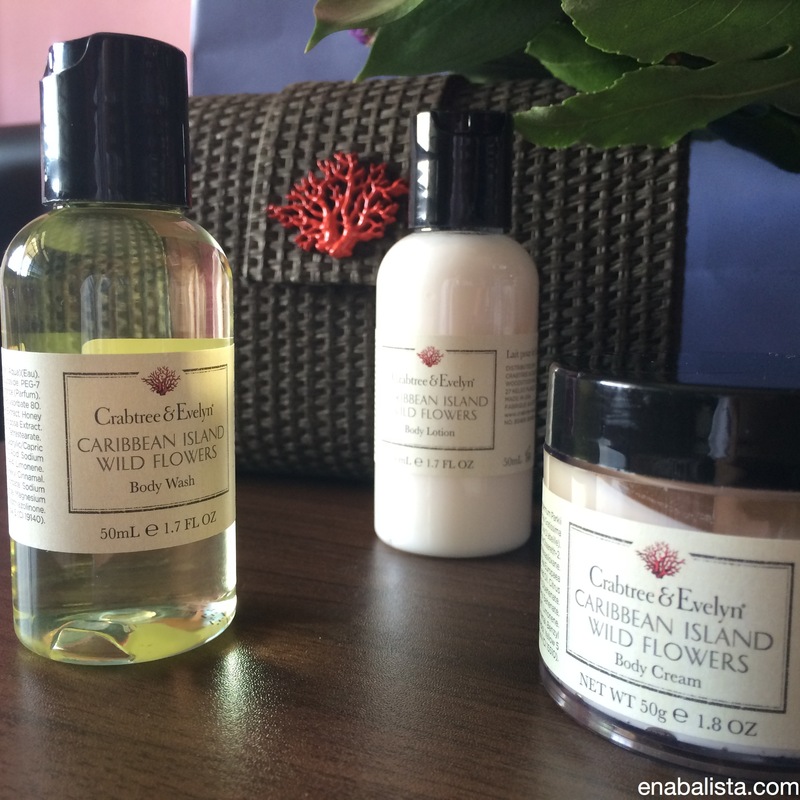 Crabtree & Evelyn launched their Caribbean Island Wild Flowers Collection back in July and now you can enjoy that luxurious resort feel and scent in your own bathroom and bedroom after a long day’s work! 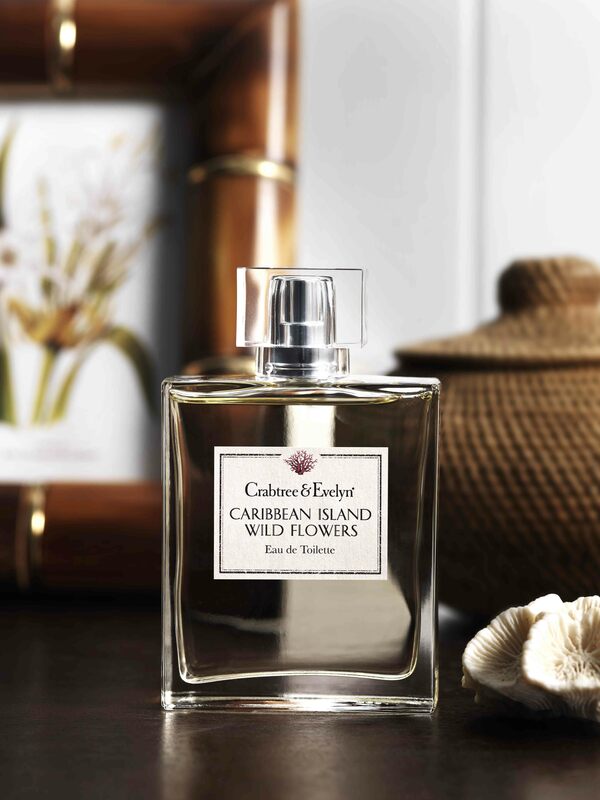 Delicate spider lily is blended with notes of wild flowers, tropical citrus notes along with a marine accord, all conjuring that feeling of long relaxing days on a Caribbean island. It is at once fresh, enticing, calming and luxurious. 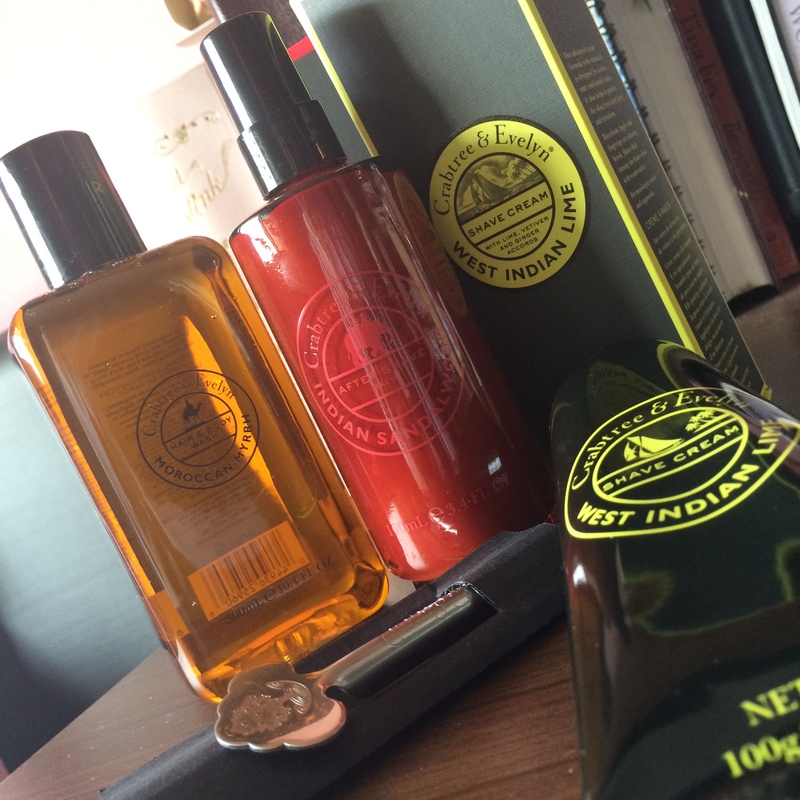 Thanks to the lovely folks at Crabtree & Evelyn, I’ve been enjoying the press samples immensely. 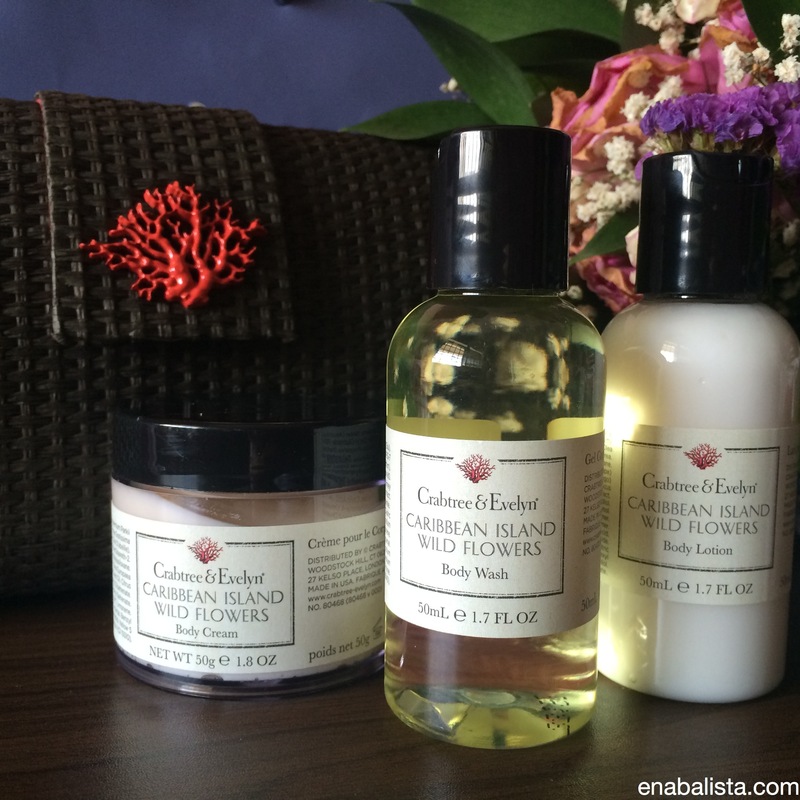 I love how the body cream and lotion is scented, floral with a wisp of the calming caribbean sea breeze. I’ve been bringing the body lotion to work to apply whenever my hands feel dry in the aircon environment and I love to be able close my eyes and imagine that I’m on a sandy caribbean island beach. 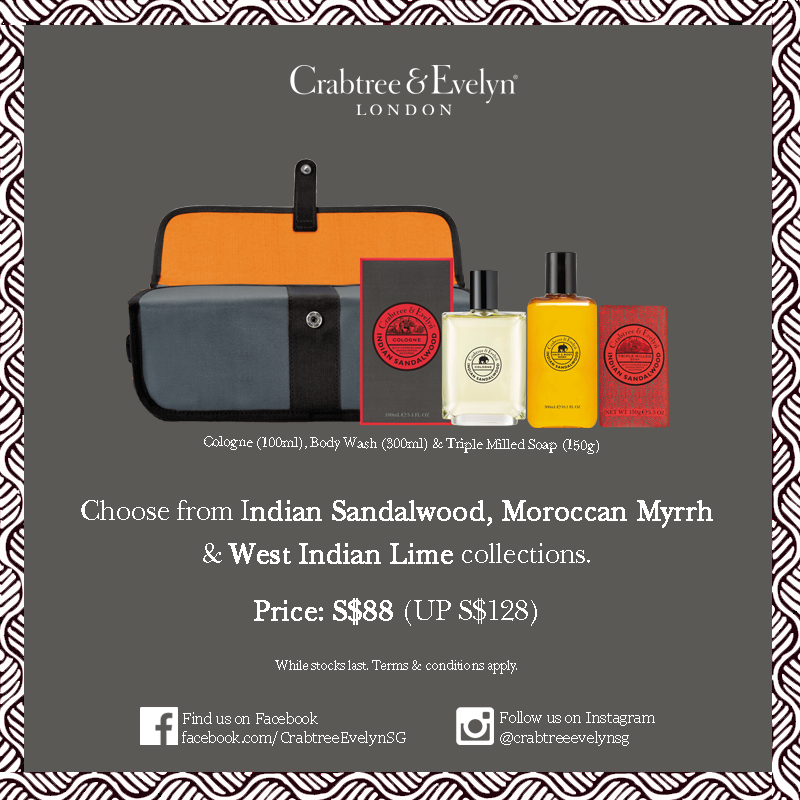 Long-standing favourites in the Crabtree & Evelyn® Men’s Collection, Nomad® and Sandalwood have been re-launched for 2014 with new names and packaging. Nomad®is now Moroccan Myrrh and Sandalwood, previously unavailable in Singapore, has been renamed Indian Sandalwood to highlight the featured ingredient provenance in line with the third Men’s Collection, West Indian Lime. These collections are inspired by classic perfumery ingredients sourced from around the world and chosen for their distinctive scents. 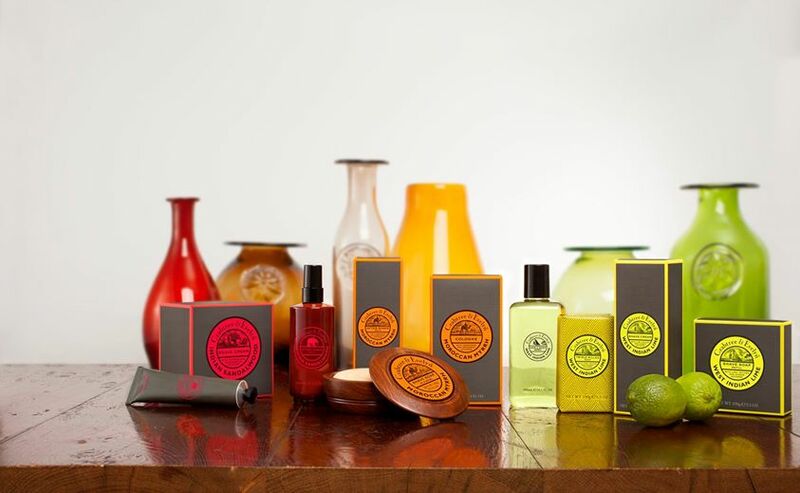 Each fragrance is infused into an array of bath, body and grooming items that are packed with additional benefits to ensure superior cleansing, moisturising and styling. I’m sure glad Mum got her set previously! Heh. Have you thought of what gift to get for your Mum for Mother’s Day? For S$98, you get to indulge your Mom with an Eau de Toilette (100ml), Hand Wash (250ml), Hand Therapy (250g), Bath & Shower Gel (50ml) and Body Lotion (50ml). If your Mum is a jet-setter, the S$38 petite gift box that consists of Bath & Shower Gel (50ml), Body Lotion (50ml) and Hand Therapy (25g x 2) might just be the ideal gift for her. The heart shaped box with ribbon will be sure to melt your mum’s heart! What’s more, enjoy special gift-with-purchase with minimum spending from now till 1 June 2014! 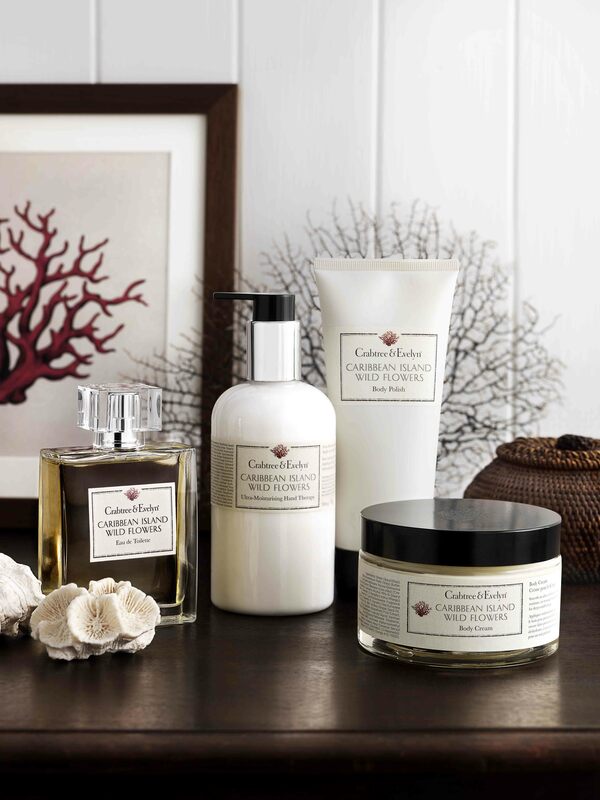 With a minimum spending of S$120 nett in a single receipt, receive a Crabtree & Evelyn® Mini Floral Body Care Set. For the first 100 customers who spend S$150 nett in a single receipt, they receive additional 1-for- 1 Buffet voucher for use at RISE® Restaurant, Marina Bay Sands Hotel lobby®, Tower 1. With any purchase of a Limited Edition Heritage Fragrance, receive a Heritage Fragrance notebook. Gift sets are valid to two sets per offer, per customer. 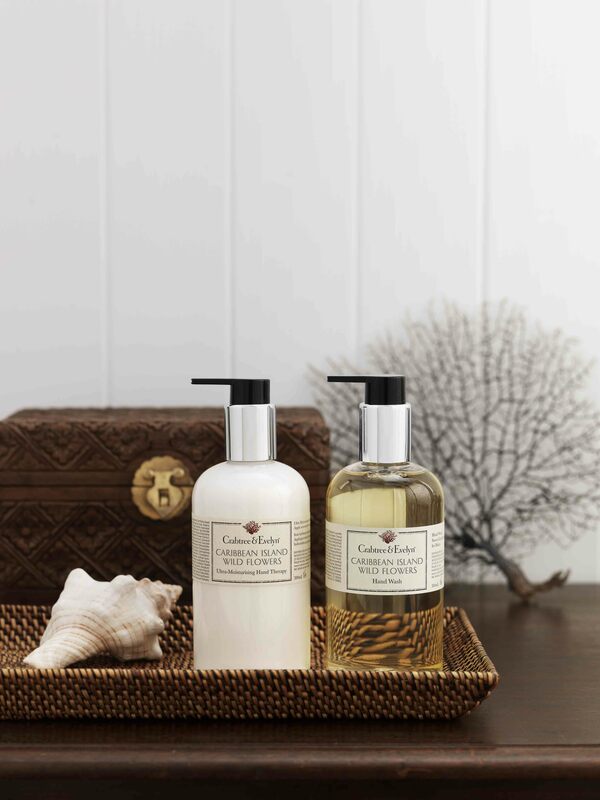 Promotions are valid at all Crabtree & Evelyn® outlets. While stocks last. Terms and conditions apply. Thanks to Cindy of WOM & Crabtree & Evelyn Singapore for the Petite Gift box.